If there’s one kitchen trend we can’t see enough of in 2018, it’s industrial. The uniqueness of each project, coupled with lots of fascinating materials, shapes and colors are always attractive, as well as the fact that “industrial” means so many different things to different people. Today, we aim to give out a few hints of what we’ve seen this trend is about. First off, we have to state that we consider industrial to be the “black leather jacket” of kitchen trends – cool, robust, strong, and with an arrogant attitude. If done right, it can set an awesome feeling not only in the kitchen, but in your entire home. That being said, integrating an industrial style kitchen into an overall normal household isn’t that easy if not done correctly. After all, you might not want steampunk living rooms and bedrooms too. 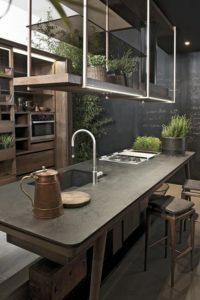 Creating an industrial-style kitchen is all about mixing modern design with classic, strong materials like wood, metal, concrete and natural stone. When it comes to wood, think about hard wood, with visible veins and clear texture. Metal will be omnipresent in this style, whether we’re talking about brass, aluminum or copper. Make sure you leave as much piping visible as possible, and remember that your kitchen will be highlighted by the faucets, finishing and accents. When it comes to colors, dark hues like gray and black are the stars of the show, mixing well with metallic accents of gold, copper or silver. 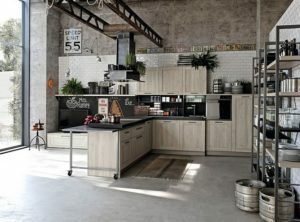 Appliances must also take one of two roads: either embrace the industrial theme when it comes to look, knobs and displays, or go the complete opposite – minimal, functional design meant to steer the eyes onto other subjects. Either way works perfectly. 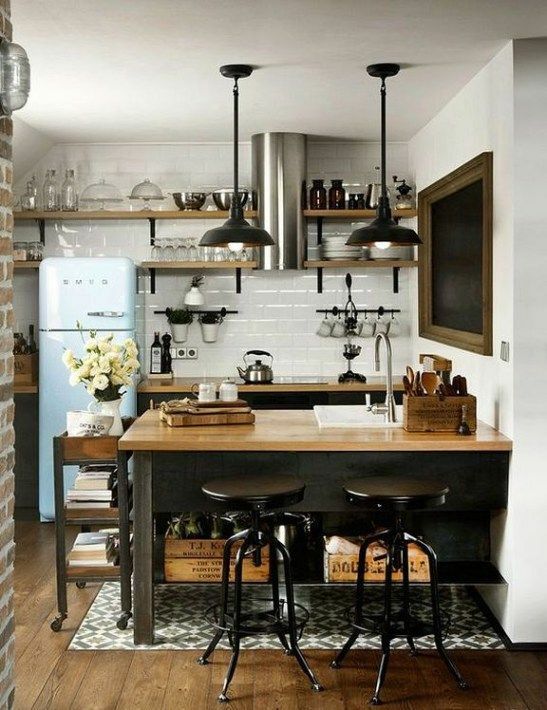 All in all, we’re sure that industrial-style kitchens are once again in trend. Not every home might be suitable for such a bold experiment, but if you think such a kitchen is your cup of tea, go for it. You’ll quickly find yourself wanting to have a photo-shoot where you cook, and that’s a fantastic feeling to have.